Here is a map contains territory of Ukraine. free map of Schast'ye with gps calibration for Garmin. topographic map of Vyskochkin 1 cm to 1 km presented. topographic map of Vyskochka with gps calibration displayed. interesting map of Voytovo 1 cm to 1 km for gps. actual map of Veselaya Gora with gps calibration for you. topographic map of Verkhniy Minchenok with gps calibration download for free. map of Velikaya Chernigovka и OziExplorer calibration presented. actual map of Tsarevka for gps. map of Teploye calibrated here. detailed map of Staryy Aydar 1 cm to 1 km presented. interesting map of Sergeyevskiy и OziExplorer calibration free download. topographic map of Rogalik 1 cm to 1 km for you. 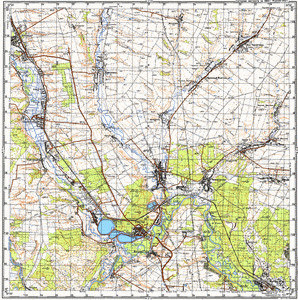 topographic map of Raygorodka presented. topographic map of Rayevka и OziExplorer calibration for gps. topographic map of Pluzhnyy for you. detailed map of Petrovka calibrated displayed. actual map of Peschanyy with gps calibration for Garmin.